A spacious, comfortable home. Ensuite accommodation. All rooms with TV, hairdryer and tea/coffee facilities. Breakfast conservatory. Guest lounge. Landscaped garden with patio area. Peaceful location in Ballycommon Village.High quality en-suite accommodation with T.V, hairdryer, tea/coffee facilities and free WiFi. We also have a breakfast conservatory and a garden with patio area. 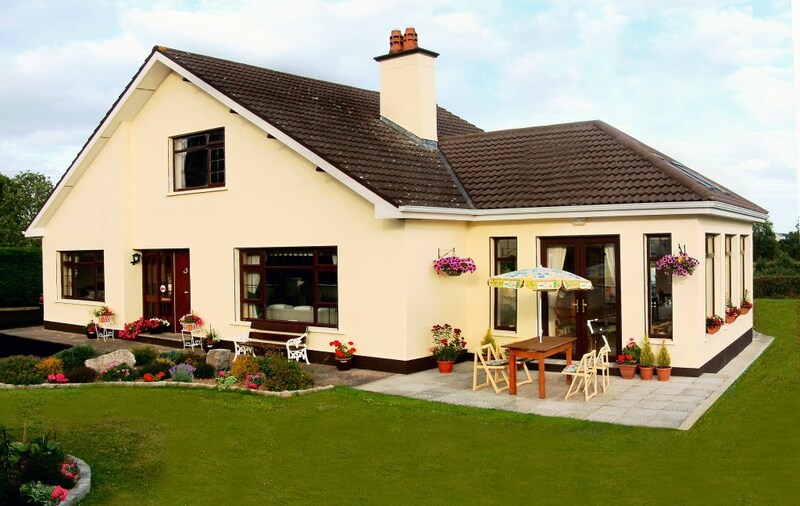 Set in the pretty village of Ballycommon on the outskirts of Nenagh. Only 150 metres to the Thatched Cottage bar and restaurant. We are located on the R495 to Dromineer Bay on Lough Derg, this makes us an ideal base for all water sports, walking and cycling. It is a great location for touring Lough Derg and the surrounding region. Complimentary tea/coffee and home baking on arrival and a warm welcome is assured.